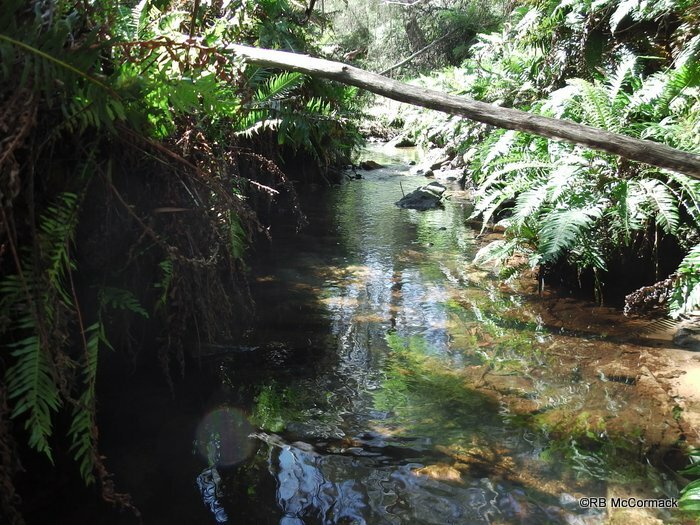 Surveys in April 2013 of creeks in the Blue Mountains of NSW in partnership with Blue Mountains City Council have been very productive. 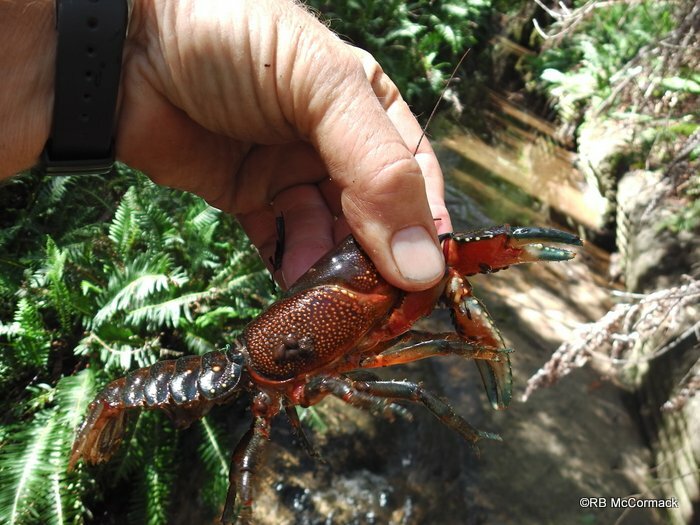 Among other species we have been researching the Sydney Crayfish Euastacus australasiensis from the Leura area. 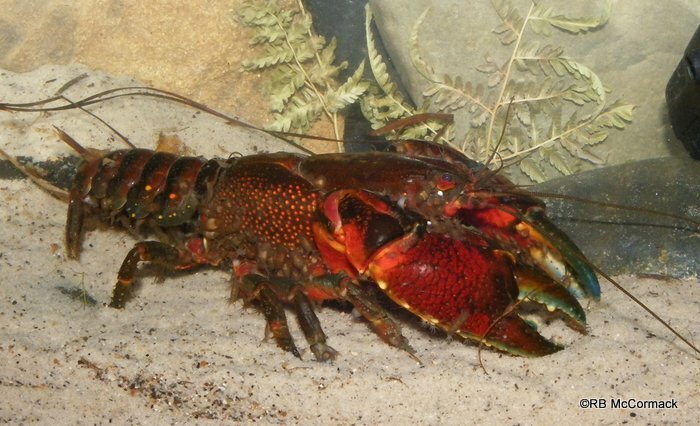 Euastacus australasiensis is a protected crayfish and it is illegal to have one in your possession. They are only for looking at and photographing rather than collecting and eating. Overfishing, illegal collection and translocation of invasive species are usually a result of lack of knowledge-people just have no idea they are doing anything wrong. Better education of general public is what’s needed and we will continue to strive towards better education. We found them to be abundant in the local streams and our research increased the knowledge base on the species. Previously the largest specimen we the Australian Crayfish Project had on record was 130 gram and 60 mm OCL. That was just larger than that recorded by Morgan (1997) at OCL of 59.4 mm OCL. From Leura Creek we recorded an Euastacus australasiensis of 143 gram and 64.75 mm OCL. That’s a new record for the Australian Crayfish Project for now, but we know from the size of the burrows we have seen that larger individuals must occur. The trouble is that these huge adults are 20 plus years old and some indications they may be over 50 years old. They have been just too smart to be captured by us (hopefully we will get smarter or luckier and catch a monster).